You might know the basics to recycling and reusing, but wouldn’t you like to know more? 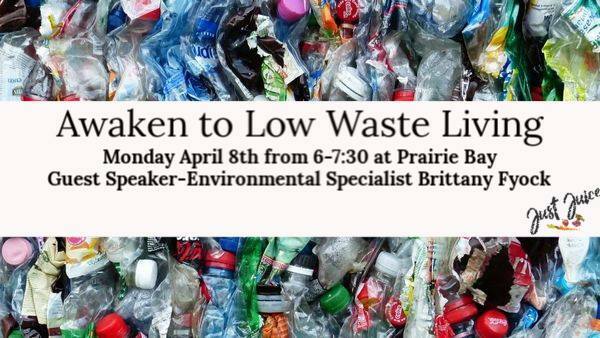 Join us on Monday, April 8th from 6-7:30 at Prairie Bay with Guest Speaker-Environmental Specialist Brittany Fyock. Brittany will walk you through easy changes you can make in your every day living that lead to healthier habits, a healthier you, contagious learning for your family, and a healthier earth. Small tweaks can make a big difference.